I interviewed Jerry DiPego on January 16, 2018 at the home on the outskirts of Solvang, California where he lives with his wife Christine. A screenwriter, novelist, and playwright, Jerry was gracious about sharing his stories, reflections, and memories. His warmth and kindness were immediately evident. JD: My full name is Gerald Francis DiPego. I was born in Chicago, and I’m 76 years old. CCW: Are you primarily a screenwriter? JD: Most of my writing has been screenplay writing, but I started in short stories. I moved on to novels, and at the same time began in the film industry. I was doing television films, movies of the week for many years, and along the way I wrote novels. In the mid-90s, I had a novel come out and a movie that gave me a solid base in feature films. So from then on I didn’t do novels anymore, I just did film. So I’m coming out of twenty years of film, and going back to prose. I’ve stepped away from film except for one project. CCW: Did you always feel like a writer? JD: I was captured very early by movies on television, especially adventure stories, and all the great adventure novels. 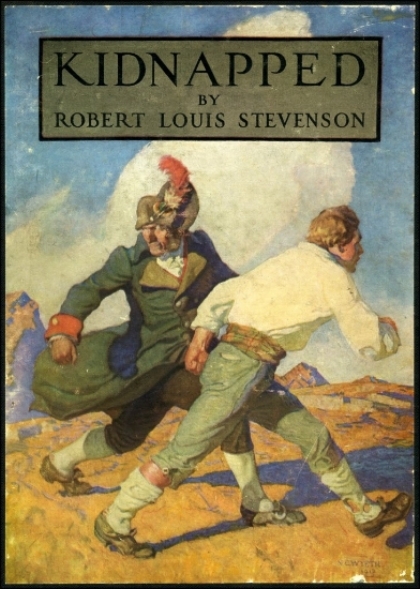 I was an early reader, and I just loved reading, and luckily, all the books that had been illustrated by NC Wyeth at the turn of the century were re-issued, a whole set of eight or nine or ten classic adventure stories, like Treasure Island or Kidnapped, and I got to read every one of those. Whenever I had a birthday or Christmas, my mom and dad would know what I wanted. Either they’d give me a set of soldiers, or they’d give me a book that was illustrated by NC Wyeth. The images that Wyeth drew and painted caught me up even more than some of the writing did. I just lived on those delicious pictures of frontier life or Indians, knights, pirates, all that. So very early I wondered if I could make the magic. It was magic to me…now could I make it? Is it possible? So I started writing little stories at age twelve, and I kept going, and finally when I was in college, age nineteen, I started sending stories to magazines. I sold my first story when I was twenty-eight. You know you’re a writer if you can take nine years of rejection and keep doing it because you love it so much. CCW: Was there a teacher or anyone in particular who encouraged you in this? JD: I was more on my own. My brother and I were the first of a large family of Italian parentage to go to college. I didn’t have that kind of feedback. CCW: Where did you go to college? JD: Northern Illinois University, in DeKalb, Illinois. I majored in journalism. I was practical. I figured I’d get a job and write fiction on the side. It was always fiction that drew me. And I did get a couple of reporting jobs. I did a lot of different jobs before the writing paid my way. CCW: What is your source of strength? What gets you through the challenges of life? JD: That’s a deep one. I’d say my loved ones are a major source of strength. They’re always there. They’re the constant. If something breaks down, falls apart, if my heart is broken, if I have a setback…they’re always there. But I have to add something to that. It’s the idea that somehow I keep alive my young self. My young self is to me very much with me. And sometimes I think about little Jer, and I’m so happy I lived through that childhood, and it’s very much alive in me, and that helps me too. It’s kind of a fallback thing, ‘cause I always have that too. The young me. CCW: When you think of little Jer, do you feel protective of him? Proud of him? JD: Protective, and proud, and sometimes sad and wanting to…in fact, the thing I’m working on now, it’s not fiction. I guess you’d call it a blog, although I hate that word. I’m writing an essay now. Let’s put it that way. I found a picture of my young self that really struck me, so I’m writing an essay to my nine-year-old self. It’s a lot of fun. CCW: You sent me a piece about your boyhood, and how your friend used to call to you. JD: Yes. “Oh-Oh Jerrr!" It had its own rhythm. CCW: I know what you mean. I remember how my best friend used to call me from the street when I was a child, and the calls of the street vendors. CCW: Yes. There were the rag pickers and the junk men. There were people who would sharpen your scissors…it was such a different world. Which brings me to this question: what fundamental experiences have shaped your world view? JD: It’s interesting. Most of our childhood memories are not right in front of us. They’re so down deep, we can’t even bring them up. But there are bits and pieces. And one of them really did speak to me. Before we moved out of Chicago, and my father bought into a grocery store, he was half owner of a tavern on the South Side of Chicago. I am so young in this memory, maybe five or six, but my father didn’t speak a lot, so when he did speak, I would listen: what was he going to say? He told us that a fight had broken out in the tavern. It was a black man and a white man, kind of a racial battle. My father said words to the effect that, yeah, some guys come in, they don’t like the black people. And then he said, “You know, people are people.” He said that to my brother and me. People are people. Just that phrase. Boy, that’s…I mean, thanks Dad. That was a wonderful thing to hear and learn and take inside. CCW: He was born in Italy? JD: He was born in Argentina of Italian parents. When he was ten, they all moved back to Italy to run a grocery store. So then when he was nineteen, he came from Genoa to this country. He came from a large family, and little by little, a lot of his brothers came over too. CCW: Did you grow up in an Italian-speaking house? JD: Yes, I did, but very little. My mother was adamant that it would be an American home. She had been born in an Italian neighborhood in Chicago. Her parents were immigrants. And they only spoke Italian in the house and the neighborhood, so when she went to school, it was very hard for her. She did not speak English. So I think that stayed in her mind, and she wanted to make sure that my brother and I didn’t go through that. But the thing that I was linking there, was that as my uncles came over from Italy, and they had their families, and we were all kind of growing up and visiting together, a lot of the aunts and uncles were prejudiced against black. So my dad had come from these roots, and yet he stood out. Somehow he saw that “people are people”. That to me is one of the most important things that you can say or feel in this world. And it is so absolutely true. The percentage of “bad” people is, I am sure, the same in every race and every country, the good and the bad, and that little message from my dad really broke through. CCW: It couldn’t be more relevant. I wish more people would get that message. I wonder what it was about your dad’s experience that made him able to see that despite the prejudice within his culture. JD: He came over first, so he had a little more time over here. He worked in a factory, and then he and his brother-in-law opened a candy store, and I just have the feeling that he was living and working on a kind of border between blacks and whites in those days. More and more blacks were coming in to the South side of Chicago, so maybe he simply had more experience and was cool enough to think it through and see what was in front of him, and see the good people of whatever race. CCW: Clearly your father was a big influence in your life…is there someone else you’d like to mention who was a big influence in your life? JD: My family was not an educated family. My brother and I went to college, and then a few of our cousins did later on, but my cousin Jim, who was kind of a tough guy…he was in a gang…was also a singer. He took singing lessons, and as he got older and got away from the gang thing, he was singing in clubs and so on. He also got into the air force, and the air force posted him in Louisiana. He was still a tough guy, he got in and out of the brig several times, but he met a woman named Carolyn, married her, and brought her back to Illinois when he left the service. He brought Carolyn into our lives, into our family. And Carolyn and I had such a special connection, because she loved reading. She loved books. And I couldn’t share that with anyone right around me in the family. And she had a very good mind, a good sense of humor, and she was just a dear person. Actually, she was not that much older than me. I was probably fourteen at the time, and when she and Jim were married, she was nineteen. So all her life, even though she and Jim divorced and she went back to Louisiana…even though that happened, we never lost touch. We were sending not just letters but audiotapes back and forth. And she and her girlfriends would take a trip to Vegas, and I would meet her there. Her name was Carolyn Saint-Pé My cousin Jim liked that name so much he took it as his singing name: Jimmy Saint-Pé. CCW: Is she still living? JD: She passed away about four years ago, but we saw a lot of each other. CCW: It’s funny how you just make a connection with someone. So...is there any advice or wisdom you'd like to share? JD: I speak of this from the business I was in, but I’m sure it’s something everyone can use. But if you’re any kind of an artist,…let me put it this way…I was writing films, and I was writing novels, and sometimes I would write something that I loved, that never came across, that never was filmed, that never made it. And yet you live in a business where all around you, you’re seeing the work of other people, and how come their movie is up on the screen and mine isn’t? Or this new novel is out, and I thought mine was just as good or better, and mine didn’t come out. That kind of thing. And the important thing to come out of that is this: stave off bitterness! I have seen bitterness wreck people I knew. The business is churning and churning, and there are images all around you that are being done, that are becoming popular, and yours didn’t make it at that time, and all around you, you see the work of others being chosen. Every writer or actor has moments where they put their heart fully into something and it breaks. But it’s so important to stave off bitterness, because bitterness can take you down. It makes your life dark. And I think it even ruins your writing, because you’re not writing from a place of endearment, of love. So I’d just like to say that about staving it off, keeping it away from you. CCW: What can help you do that? JD: I’ll tell you a story that answers that question. I was doing research on a movie for television, and I had to go to a conference about the future…futurists were having a conference in a popular ski place, maybe Aspen. My older son, who was about eight, was entrenched in his school and couldn’t come with me, so I took my little five-year-old Zachary on the trip, because the conference was only going to take about three hours of my time, but here we are all the way in Aspen, and I knew there were things he would love to do, like take the ski lift up the mountain, just to take it, not to ski. Anyway, I was having fun with my five-year-old, and in my head, part of my brain was taken up with the fact that somebody had called me…I had just written a novel…and somebody had called me and said that People magazine was going to review my book. I thought “Oh my God. People magazine! I mean, millions of people read this.” I was very excited. So, we come back to the lodge after some fun outing, and we’re sitting in the lobby, and I notice the new People magazine has come out. So I buy a copy, and I sit there, and my son is sitting not far away, off in some play-land, and I open the page to the book reviews, and I find that my book had a hatchet job done to it. I had published a few novels, but I was not a known writer, and this was the kind of review where the reviewer takes such pleasure in saying how bad something is, and is enjoying it so much…you can tell. I can say that broke my heart. That’s just a phrase, but it went deep. So you learn that your loved ones can help get you through anything. CCW: Do you have any other advice, specifically for writers? JD: When I do a talk or teaching, I say, don’t censure yourself too much. Let the words fill the page, and then you can go back in and rework it. Some people want to be writers and the blank page actually scares them, but it’s just something you have to get over. I had to write my way through a lot of bad stuff before my writing got better. So people shouldn’t hold back or censure themselves so much. CCW: When you start to write, do you know where you’re going? Or do you figure it out as you go along? JD: I need to know where I’m going, because that’s where the emotion comes from. What kind of story am I writing? Is it dark, is it happy…what am I trying to say with this? I don’t have it all worked out, but I at least need a beginning, middle, and end, because that will carry the emotion. I need to know what the emotion is that I’m driving at. I used to really outline heavily before I started writing, so I knew so much more before I started page one. I don’t do that as much in my later years. I guess I trust myself more, so I don’t do that finite kind of planning. But I do know the beginning, middle, and end of my story. CCW: Is this true of the nonfiction essay as well? JD: A lot of my blog essays are memoir. So once I think of the memory, I do ask, why is this important to me? Why am I telling it.? So I can bring all the feelings back when I’m telling it. But it’s not so much a beginning, middle, and end kind of thing. That pertains more to fiction. CCW: Why do you write a blog? People ask me that. I ask myself that too. JD: I like to write and share with people. I don’t think that a great number of people read it, but I do enjoy sharing my deeper thoughts, or even humorous thoughts. So I keep doing it for that. Even if one or two or three people really enjoy it, that’s okay. I’m doing it partly for myself. It’s an exercise. I’m tapping into something and letting it out, sharing it. CCW: Theoretically, you could just write your thoughts in a private journal, but there’s something about the fact that you know somebody is going to read it…isn’t there? Somehow that connection completes the cycle. CCW: How about an early childhood memory? The earliest. JD: Isn’t it amazing, how if you look at one year of your life, and you’re talking like four or five years old, how little you remember from that particular volume of your life…two pages, maybe…it’s amazing to me. Something has to really jump out to stick. So I’m standing in the dining room of our apartment in Chicago and I’m so little that my eyes are only a little bit above the table. What’s happening on this table is that my mother’s father, our grandfather…we just called him Pa…he spoke very little English…but our grandparents, my mother’s parents, lived with us in that apartment…so I’m standing there watching as my grandfather spreads dough out on the dining room table. He’s working out a lot of dough, spreading it out. Then he sprinkles flour over it. And then he takes a bowl, and from the bowl he takes a little fingerful of meats and so forth, and he puts that down, and then he takes another and puts that down…and I’m watching my grandfather make homemade ravioli. I was kind of entranced. It was almost like watching a shaman. I was watching a magician. Then he got those little crimpers out, and he would crimp each square, with the little lump in it from the filling, and that’s such an early memory. He guided my hand once so I could share in this and put a little bit on one. CCW: That’s a magnificent memory! There you were, under the spell of your grandfather making ravioli! JD: There’s also a kindergarten memory. If you did anything bad, you had to sit under the slide. For some reason, I’m sitting under the slide thinking oh, I have to sit under the slide. I have no idea what I did. Another memory is the smell of finger painting. And here’s another from when I was really young. We lived in an apartment building, and on the ground floor was a bakery. And a dress shop, and things like that. Right down from our stairway was the bakery. My mother would hold me by the hand, take me in, and have to buy something. Then we’d walk back up the stairs to our apartment. One day she said, “You’re gonna do it by yourself this time.” She gave me a quarter that in my little hand felt like a silver dollar, and I was gonna walk down. And she stood on the top of the stairway so she could see me. I kept looking back at her, but then it was time to walk into the door of the bakery. And I did, and the women who worked there started to fuss over me. Some of them probably knew me, cause I always came in with my mother. So here I am, buying two hot cross buns. CCW: Was your mom a stay-at-home mom? JP: Yes. Yes, she was a housewife. My dad and my older brother worked in the store, and when I got older, twelve years old, my dad said, “Well, Jer, it’s time you came to the store and worked.” I felt so great. I felt so grown up. I was sweeping those aisles. But my mother stayed home. A couple of times during those years in Round Lake, she asked my dad to help teach her to drive, but they would fight too much. My dad had a temper then that was scary to his sons. He never hurt us, and he turned out to be a very sentimental man, but he was raised by a very strict father in Italy and Argentina, and I don’t think he knew how to play. He never played with his sons. Maybe it was a generational thing, I don’t know. So he was always at a distance. And it was only as an adult that I really got close to my dad, so we could talk about things, and take long walks. There was this wonderful transition. But he was a bit scary when we were kids. My brother and I were almost four years apart, so we were in different worlds. In our very young years, I remember playing on the floor with him, toy soldiers, things like that. But then you separate, because you’re in different worlds. But once we both got to be adults, it was such a good, close relationship for years and years. I looked up to him. He seemed comfortable inside himself. I was very shy. There was an exchange I remember…I was thirteen or fourteen and attracted to girls. He always had girls; he was a pretty handsome guy. I said, “Paul, how do you talk to a girl?” And he said, “You just have to force yourself, Jer.” So I guess I did. CCW: Great advice. That’s true of a lot of things. So, what would you say is your current state of mind? JD: It’s an interesting time. It’s mostly very good. But I think I’m doing a little searching about what my major identification is at this time. I don’t write as much as I used to, and it’s not as if I’m in demand, and I don’t really care about that. I’ll always keep writing one thing or another, but for some years you carry this idea with you: Screenwriter, or whatever. And then when you walk away from that, you find yourself reflecting sometimes about that. But I must say that I feel really good. And now my sons, we’re so close, and that’s such a lovely thing in my life. My loved ones are there, and I feel so blessed with them, and with the career I’ve had. And I’m using that in the past tense…that’s what I have to get used to. CCW: I see you stepping into a mentor role. I think that’s a really important role, gracefully becoming not so much the player as the mentor. JD: I enjoy being a mentor. But I’ll always write. Writers don’t retire, they just die or go crazy. What’s going to stop you from writing? Either death or madness. Then, in the midst of all this reflection, the phone rings. A man introduces himself, and says I’m a producer in LA. I faintly knew his name. And he said, whatever happened to that script you wrote called The Insurance Company? And I said “I wrote that about forty-five years ago. You must be really old.” He said I think I read your script when I was in college or something, and I remember it being very good. Do you have a copy? I had one copy still on the shelf after all those years, turning brown and ragged at the edges. I made some copies. And I read it…I hadn’t read it in two decades. And I sent him a copy and he read it, and now he’s bought an option on it and wants to go forward. So I can never say I’m fully retired either. CCW: It doesn’t appear that way at all. Can you talk a little about how you made the transition from novel writing to screen writing? JD: I was such a fan of both film and books. I just ate them up. I loved them. My tastes evolved. I started by writing short stories, so I’m writing prose, and trying to break into the movies. And when I do break into the movies, I had a drive to write both. I didn’t want to put one away and not the other. 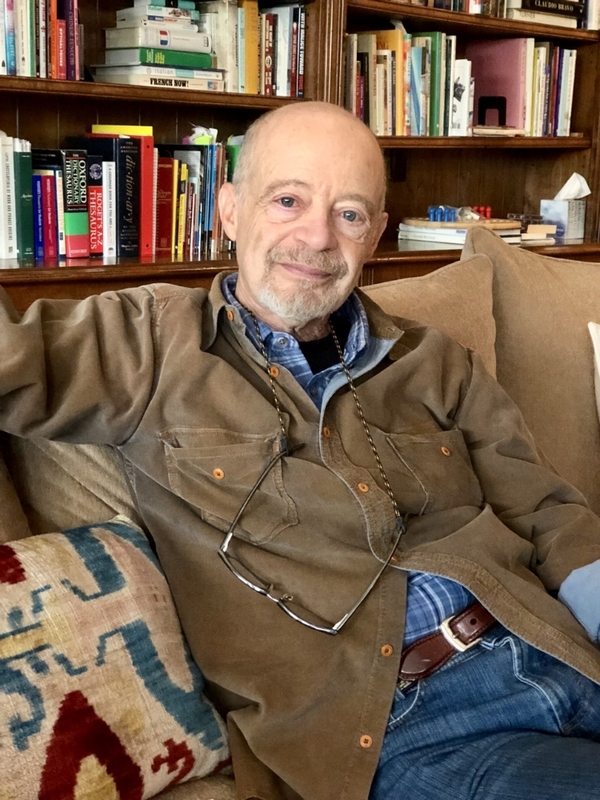 By the time I was writing movies of the week, I had already written a novel, and I wrote it when I was teaching high school briefly, and I said I’m going to look at that again, and see if I could salvage that, and rewrote it and it sold. So I had both going at the same time. They are very different, but I love both forms. I love the novel so much because you can really work with language. You have to tell a good story in both ways, but the novel lets you really reach for language. In the screenplay you’re reaching for images as well as dialog. I always went back and forth until the movie Phenomenon came out in ’96. My best novel, I think, came out that same year. But because of that movie I was getting a lot of notice for movie-writing. After my last movie came out, Words and Pictures, I remember thinking that if I’m ending my movie career, I’m glad to end it on something I feel that good about. But I also remember thinking: I’ll never have to have another meeting. I always loved writing, and I never loved meetings. Meetings are dangerous to screenwriters. You’re going to be in a room with people who want you to change this or change that. No more meetings. A big change that’s come over me, as I’ve gotten older, all that shyness and timidity I had growing up is just gone. One thing I’ve been doing for a decade here is putting plays on stage or stage readings. I get a cast together and it’s so much fun. That has been such a way of having fun and feeling enrichment. Some are serious; they’re not all just fun things. It’s of great value. People come out for things. CCW: What are you most proud of? JD: I don’t want this to sound like I’m taking credit, but I am so proud of my sons. Zachary and Justin. They are just such fine men, and they’re so much fun to be with. The three of us try to get away, just the three of us somewhere. Rent a cabin and spend three or four days, and I love that. It can’t always happen, because somebody’s too busy, but I love when it does. And then, I guess I look back on that young Jerry, and I’m kind of proud that he did what he did. Specifically, I’m proud of maybe five if I have to pick from almost forty things I’ve written, I’m very proud of five. I’m glad I did all the others. I enjoyed them, but five that really broke through: the novel, Cheevey, the films Phenomenon, and Words and Pictures, and the plays Bazoin! and 154 and Paradise. JD: Just that you feel the accomplishment inside. Let’s say it’s a movie, and it was well cast, well shot, sent out there. It doesn’t have to be a hit because you feel good inside. You can take pride in it. It’s an internal sense of accomplishment. CCW: Who’s a hero to you? JD: I’ll tell you a story that fits that. They didn’t have much programming for early television. I’ve been watching TV since 1949. That’s when we got our little twelve-inch set. So what they were showing most of the time were movies, until they started programming. So I saw all the wonderful re-issued movies. The John Ford movies really spoke to me, and some of the British adventure movies. Kipling stories, and so on, really spoke to me. So, in a way, to my young self, John Wayne was a hero to me. Of course I’m talking about Stagecoach and the Cavalry trilogy. I must have seen each one ten times. There was something about John Wayne that just kind of got inside of me, like I wanted to have those qualities. And I got older and John Wayne got older, and finally when I was, say fourteen, I saw a movie that just flipped things over for me, and that was On The Waterfront. I watched On The Waterfront, and I had a new hero. And it wasn’t just Marlon Brando, it was Terry Malloy, whom he played so beautifully. It was like a turning point in some ways in my life, because those two men stand for such different things. And the actors themselves as people stood for such different things themselves, politically and in other ways. And also acting styles. But when I turned off the TV after a wonderful John Wayne movie I felt great. And when I came out of the theater after seeing On The Waterfront, I wanted to be a better man. That’s not just Brando…it was the writing. It was the story. How he had to fight and find his way. CCW: That’s what literature and film can do. And that’s what you do in your work. JP: I hope so. That’s the way I feel in life. Now and then you’ll see a film or read a book and it’s just absolutely dark, and what it’s saying is, life will crush you. And if that’s what the writer wants to say, and he says it well, the book can still matter a lot. But that’s not how I feel inside, so I don’t want to send that message. CCW: I feel it’s too easy to go to the dark side. I love the relationship you have with younger Jerry, and you seem to be such a positive person. What gives you hope? I look around and see things that make me feel depressed sometimes, and I am always wondering what is it that others see that makes them feel more hopeful. JD: These are really depressing times for me, and I guess for most people. It’s a dark, dark time for this country, unbelievably dark for this country. But I recently got on Twitter because I wrote this book and people were saying you have to have some kind of venue to call attention to it. It’s a kind-of how-to book for the writing of fiction, my only non-fiction book, and it's called WRITE! Find the Truth in Your Fiction. ‘I wrote it because over time I’ve found methods for making fiction 'feel real’, and I wanted to share those methods with others. But anyway, I got on Twitter as one way of promoting the book. And I’m sort of on and off, but I discovered that I can sort of take the pulse on Twitter. You get a sense of the pulse. And that gives me hope, because I can see that even though people are depressed and angry, they’re standing up. They’re resisting, and doing, and forming groups. That does give me hope. And people are getting married and raising kids. There’s a lot of hope out there, I think. And that’s a good thing, because we’re certainly being bombarded by a lot of terrifying things…even floods and fires. CCW: That’s a good answer. CCW: Well, is there anything you want to add? JD: A basic thing in this world is knowing you’re loved. If you grow up knowing you’re loved, you’re so far ahead of so many people who don’t’ get that treasure of feeling loved. I’ve had that. I grew up with that. My mother was a worry-wart and she could get nervous and all that, but she just loved my brother and me, and put her love into the cleaning of the house and the cooking of the food, but also, she had a great sense of humor. Here’s how she would wake us up in the morning to go to school, and I think this goes all the way back to Chicago. She walks into our bedroom…Paul and I were in the same room…and instead of saying it’s time to get up, she’d say, “Okay, funny word, funny face for the day?” And each of us had to make a silly face and a silly sound. And she did too. JD Isn’t it? She was wonderful. She loved to play. She had a good mind. She never went past the 8th grade, but by the time she was very old, she was reading Time magazine, and reading books. CCW: How old was she when she passed away? JD: About 79, I think. My dad was about 80. My brother’s gone too. That was a shame. He was 64, but he was a very young 64. Cancer. So I’m an orphan. It’s a funny thing at my age to be an orphan. The last one. But yes, my mom. It was such a gift to Paul and me. On her side of the family, the people were fun. On my dad’s side, they were heavy. But the fun of our uncles, and my cousin Jim…all these guys were fun. And every Christmas Eve, they would take the train from Chicago and go to Round Lake, and I couldn’t wait for that cab to come from the station because it was carrying all that fun. Jim, and his mom and dad, and then Uncle Mots. They’d come in and my mother had a fun sense of humor most of the time, but when they came in, she was a giggling girl again. And she was singing. Jim would go around with a microphone pretending it was a radio show, and she would sing arias that were all made up, no real language. CCW: There was so much love and joy put into you, it’s very apparent. You call yourself an orphan, but they’re all there with you. JD: About ten years ago Jim’s wife, not Carolyn, but his later wife that he had kids with, found those tapes he made on Christmas Eve. It was amazing, listening to that. It was poignant, but not sad…and funny as hell. And the thing I wasn’t prepared for is that the voices I remember of those people were not the voices I heard, because they were younger. So my mother had a higher voice…it was very interesting. Even when I spoke, it doesn’t quite sound like me. But it was Christmas, and everyone was there.